David John Lewis was born near Osceola Mills, Centre County on 1st May, 1869. At the age of nine he went to work in a coal mine in Pennsylvania. At the age of sixteen he taught himself to read and write. Later he learnt to read books in French and German. Lewis also studied law and was admitted to the bar in 1892, and commenced practice in Cumberland, Maryland. A member of the Democratic Party he served in the Maryland State Senate from 1902 to 1906. In 1910, he was elected as to the 62nd Congress. In the 63rd Congress he was the chairman of the House Committee on Labor. In April 1917 Lewis became a member of the United States Tariff Commission. Lewis was elected to the 72nd Congress in March, 1931. 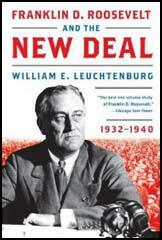 In the House of Representatives he was a strong supporter of President Franklin D. Roosevelt and the New Deal. Lewis was especially interested in promoting legislation to help senior citizens. He suggested that old people were "America's untouchables". He went on to argue: "Even under slavery, the owner did not deny his obligation to feed and clothe and doctor the slaves, no matter what might happen to crops or to markets." In 1933 Francis Townsend proposed a scheme whereby the Federal government would provide every person over 60 a $200 monthly pension. Townsend claimed that his Old Age Revolving Pension Plan could be financed by a Federal tax on commercial transactions. The plan obtained a great deal of public support and by 1935 his Townsend Club had over 5 million members. 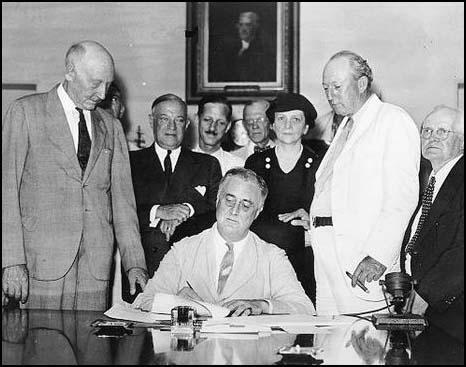 Townsend handed in to President Franklin D. Roosevelt a petition supporting the Old Age Revolving Pension Plan that had been signed by over 20 million people. In response to the petition, Roosevelt asked Frances Perkins to develop a workable social insurance system. The plan was presented to Congress on 17th January, 1935. Robert Wagner steered the social security measure through the Senate and Lewis guided the bill through the House of Representatives. William E. Leuchtenburg, the author of Franklin D. Roosevelt and the New Deal (1963) has pointed out that the bill faced considerable difficulties: "Conservatives charged that the social security conception violated the traditional American assumptions of self-help, self-denial, and individual responsibility." Arthur Harry Moore of New Jersey argued that: "It would take all the romance out of life. We might as well take a child from the nursery, give him a nurse, and protect him from every experience that life affords." The Jackson Daily News suggested that white people in the Deep South were opposed to the measure on racial grounds: "The average Mississippian can't imagine himself chipping in to pay pensions for able-bodied Negroes to sit around in idleness on front galleries, supporting all their kinfolks on pensions, while cotton and corn crops are crying for workers to get them out of the grass." 15th August, 1935. David John Lewis is on the right of the photograph. The Social Security Act established Old Age and Survivors' Insurance that provided for compulsory savings for wage earners so that benefits may be paid to them on retirement at 65. To finance the scheme, both the employer and employee had to pay a 3% payroll tax. The provisions of the act also encouraged states to deal with social problems. 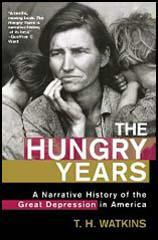 It did this by offering substantial financial help the states provide unemployment benefits, old-age pensions, aid to the disabled, maternity care, public health work and vocational rehabilitation. John T. Flynn was another political figure who was opposed to the measure: "But what of the millions of people who through long years of thrift and saving have been providing their own security? What of the millions who have been scratching for years to pay for their life insurance and annuities, putting money in savings banks, commercial banks, buying government and corporation bonds to protect themselves in their old age? What of the millions of teachers, police, firemen, civil employees of states and cities and the government, of the armed services and the army of men and women entitled to retirement funds from private corporations ­ railroads, industrial and commercial? These thrifty people have seen one­half of their retirement benefits wiped out by the Roosevelt inflation that has cut the purchasing power of the dollar in two." In 1938 he resigned from the House of Representatives in order to challange incumbent Millard Tydings in the Democratic primary in Maryland. Lewis was more sympathetic to the New Deal than Tydings and won the backing of Roosevelt, but his bid for the Senate was again unsuccessful. 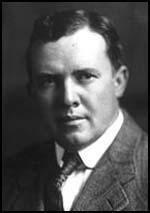 He served as a member of the National Mediation Board from 1939 to 1943. David John Lewis died in Cumberland on 12th August, 1952. The most tragic illusion about this man is that built up by the ceaseless repetition of the false statement that he gave us a system of security. Security for whom? For the aged? An old­age security bill was passed during his first administration which provides for workers who reach the age of 65 a pension of $8 a week at most. And even this meager and still very badly constructed plan had to be pushed through against a strange inertness on his part. Roosevelt's mind ran in curious circles. People have forgotten his procrastination about putting through the social security bill until in the 1934 congressional elections the Republicans denounced him for his tardiness. It is difficult to believe this now after all the propaganda that has washed over people's minds. And when he did finally consent to a bill, like so many good ideas that went into his mind, it came out badly twisted. It contained a plan for building a huge reserve fund that would have amounted to nothing more than a scheme to extract billions from the workers' payrolls without any adequate return. Over the protest of the President, the Congress finally took that incredible joker out of the law. But it is in every respect a pathetically inadequate law. Does anyone imagine that $8 a week is security for anyone, particularly since Roosevelt's inflation has cut the value of that in half? But what of the millions of people who through long years of thrift and saving have been providing their own security? What of the millions who have been scratching for years to pay for their life insurance and annuities, putting money in savings banks, commercial banks, buying government and corporation bonds to protect themselves in their old age? What of the millions of teachers, police, firemen, civil employees of states and cities and the government, of the armed services and the army of men and women entitled to retirement funds from private corporations ­ railroads, industrial and commercial? These thrifty people have seen one­half of their retirement benefits wiped out by the Roosevelt inflation that has cut the purchasing power of the dollar in two. Roosevelt struck the most terrible blow at the security of the masses of the people while posing as the generous donor of "security for all." During the war boom and in the post­war boom created by spending 40 billion dollars a year the illusion of security is sustained. The full measure of Roosevelt's hopeless misunderstanding of this subject will come when security will be most needed ­ and most absent.